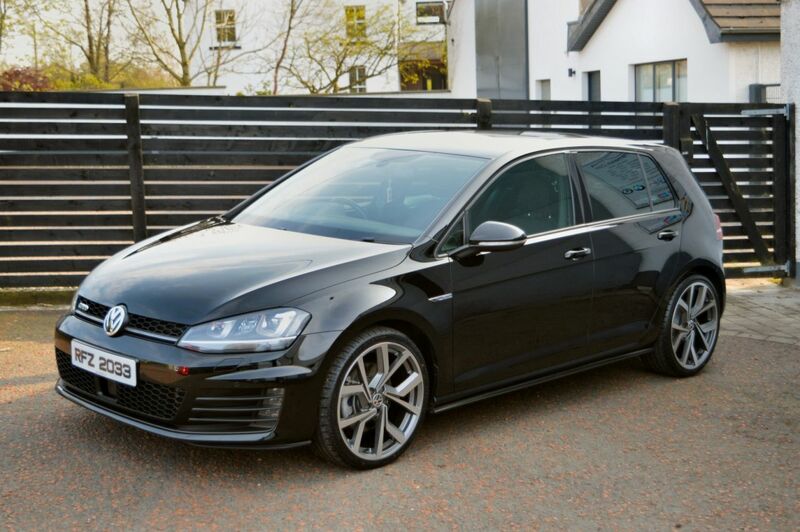 Just in we offer this very well looked after locally owned VW Golf Mk7 GTD 184, finished in unmarked black paintwork. It comes with a fully documented service history, recently serviced, 2 keys, all books and manuals included. Great spec with: Adaptive Cruise Control Xenon & LED Lighting Front & Rear Heated Mirrors Electric Rear Privacy Glass Front and Rear Parking Sensors DAB Radio Media Auto Lights & Wipers Hill Assist Bluetooth Arm Rest LED Fog Lights Driving Modes (Sport/Eco) 19" Clubsport Style Wheels Optional £695 A striking car that offers great performance with low running costs, only £20 per year road tax.